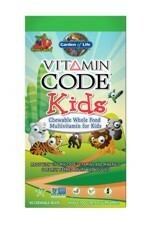 Oceans Kids DHA Chewables by Garden of Life are made with an UltraPure molecularly distilled cod liver oil rich in DHA. 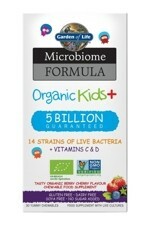 It’s designed for children age 3 years and older, and just four small delicious berry lime softgels daily deliver 250mg of omega-3s providing 120mg of DHA and 80mg of EPA, with no fishy taste and no artificial 'junk'. 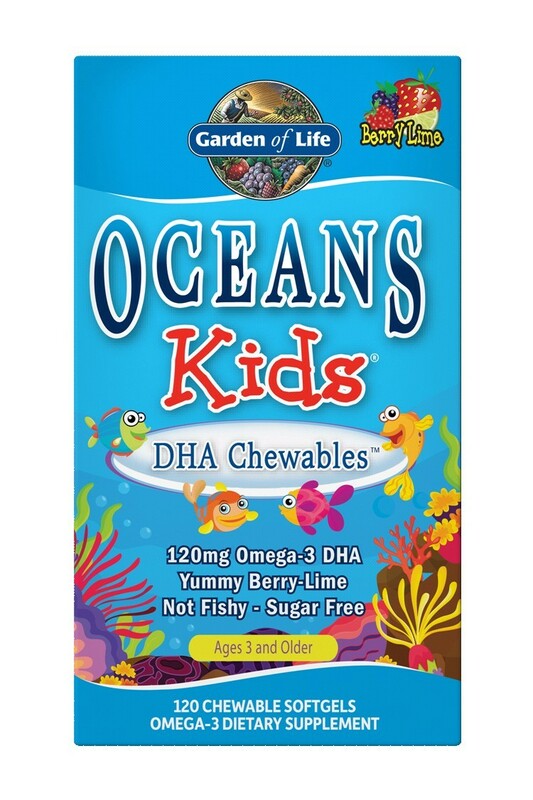 Oceans Kids DHA Chewables by Garden of Life are a fun and convenient way to give your child all of the benefits of omega-3s in a yummy berry lime chewable softgel. Oceans Kids DHA Chewables are an excellent source of vital omega-3 fatty acids with a ratio of 120mg of DHA and 80mg of EPA. Oceans Kids DHA Chewables have quality you can trust—from 100% Arctic cod that is sustainably harvested—and it’s pure and fresh. 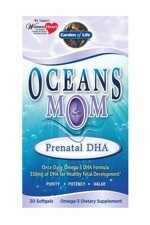 For centuries, mothers living in the cold and harsh climate of the North Atlantic have turned to cod liver oil to help sustain the health and vitality of their families, especially their children. 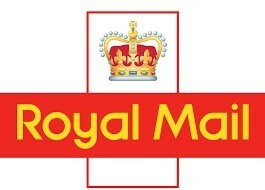 No filler ingredients, artificial colours, flavours or preservatives. 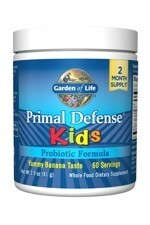 Children 3 years and older take 4 chewable softgels daily or as otherwise directed by your paediatrician. May be chewed or swallowed. Best if taken with meals. 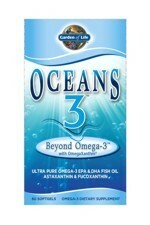 For optimal freshness, store in a cool, dry place and use contents within 3 months of opening. 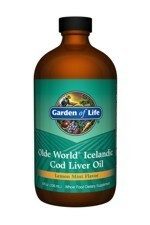 Ingredients: Highly purified Norwegian cod liver oil (Gadus Morhua), gelatine, glycerine, purified water, natural mixed berry flavours, proprietary antioxidant blend (consisting of rosemary leaf extract, natural tocopherols (soy) and sunflower oil), natural lime flavour.